I have been utterly obsessed with masks since I was 13. There are masks for literally every occasion and skin type. There are days where I use a mask regime to give my skin a weekly facial, and others when I really need my skin to dramatically change as quickly as possible. 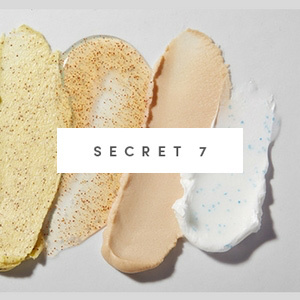 It’s incredibly difficult to keep this list to 7 products so I have probably snuck in a few extras, but for now I am trying to give you one mask in each category. One product to use that will most definitely wake up your skin is the GlamGlow mask. I have used this product since the month it came out a few years ago, and of all their masks they now have five, I still think this is their best one. If you are wanting to look great on a night out, put it on for 10 minutes let it dry and wash off with warm water. It will tingle a little when it’s on which is the French sea clay and volcanic minerals activating on your skin. Andalou have one of the best enzyme masks on the market, and for an organic range, this mask is very active. It contains Pumpkin puree which is rich in beta carotene and good for renewing dormant cells and regenerating healthy ones. It also contains a blend of Manuka honey, Aloe Vera, pineapple juice and other enzyme ingredients which help brighten and plump up the skin. Another clay-based mask is the Biologique Recherche. This product is packed with rich amino acids, live yeast, cucumber and witch hazel extracts. These ingredients will really wake up your skin and revitalise it. The smell is not good, I have to say resembles a Swiss farmyard (healthy outdoor with a bit of poo in the air) - but so worth the journey. If I’ve had a bit of a spotty week, I will still reach, after having gently squeezed the offending culprit for Eve Lom’s Rescue Mask. This clay based product which contains the magical camphor, soothes the skin and make it feel less angry and agitated. Also contains Kaolin Clay which absorbs all the excess oils and reduces puffiness. Another enzyme mask I am loving which I’ve only just been re-introduced to is by the fantastic New York facialist, Dr.Mario Badescu. The active include enzymes made from papaya fruit extracts which help break down dead skin cells. This is a very well priced product that focuses on the ingredients more than the packaging. An exfoliation product I have used endlessly over the last 5 years are Dr Sebagh’s glycolic exfoliating mask. I have always gone back to this product when I need some glycolic exfoliation. This glycolic and lactic acid mask works its magic on dry and sensitive skin as it has antibacterial properties of Azelaic acid which help nourish poor hydrated areas. If you want to start this process gently, Dr Sebagh does an exfoliating mask for sensitive and normal skin. This mask works on the glycolic acids eating away more intensely at your dead skin cells. There are five Alpha- hydroxyl acids also called (AHA’s) which are the key ingredients. Firstly, contains Glycolic acid, which is derived from sugar, tartaric acid, derived from grapes & bananas and lastly Citric and Lactic acid, lactic acid being derived from milk. These strong acids eat away all the dead cells and make room for new ones. If you have ruffled skin like mine which can take anything, then try the Natura Bisse Extreme Glyco Peel. For a mammoth night out, I use an exfoliator then glyco peel from Natura Bisse, followed by the Glam Glow mask and finish with Sisley’s Black Rose Cream mask. 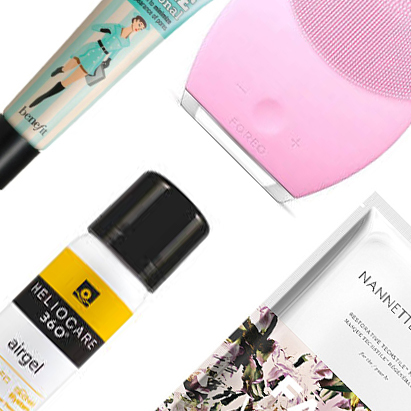 If you have a combination of dry skin areas but might also suffer from spots and you need a mask that deals with both, consider 320 Megahertz mask Rose Otto hydrating face mask. This brand launched last year with 4 products all based on Rose Otto (they have a fabulous face oil which I will talk about soon). This mask contains active ingredients, French green clay saturated in premium Rose Otto Moringa seed oil which has 100% more purity than argan oil. This product is a very active and bio- energetic treatment which contains natural oil extracts that deliver visible results instantly. The ultimate Rose hydrating mask has to still be Sisley’s Black Rose mask, it literally soaks up all your dryness and at the same time absorbs well, and doesn’t leave a heavy weight on your skin once you have tissued off the excess. This product has acids as the key ingredients and these help exfoliate and scrape off the dead layer of skin for a faster cell turnover. The magical ingredient in this mask is the Azelaic acid which has antibacterial properties, and therefore help to deal with acne prone skin and rosacea sufferers, as it decreases inflammation and redness. No. 7 beautiful skin is a discovery I have made in the last year but is a really wonderful mid- range mask that hydrates and plumps the skin. I usually leave it on as I am having a bath and tissue off the excess just before I apply my foundation as you don’t really need to apply moisturiser after this. This mask is a combination of cocoa butter, vitamin C and E which all play a role in deeply moisturising the skin leaving it fresh and revitalised. A friend of mine suggested I try the almond hand paste from Santa Maria Novella as a mask when I had very dry skin one day. I have to say it was very effective containing ground up almond oil extract that gives it this luscious Amaretto liquor smell. It also works very well as a paste for the hands too. The best yet most expensive mask on the market has to be Dr. Lancer’s Younger Revealing mask. When I first saw this product, I thought it was some kind of gimmick, as the tool removes the mask without it touching your face and this is actually due to the iron content in the mask reacting to the magnet in the tool. It is also full of silica which as we all know does give an instant smoothness to the skin but I did feel after I tried it for the entire day that my skin looked absolutely brilliant if I say so myself.